A pressure gauge’s working principle is rather simple, yet highly effective. Pressure gauges are a clever tool and are imperative in most process plants. Because of this, they must be reliable and easy to use. So, how do pressure gauges work? The gauge utilises an inner tube that is connected to a gear and shaft assembly that work together to move a pointer. When the pressure within the tube surges the tube uncoils slightly. As the tube uncoils, the motion triggers the gear and shaft system that moves the pointer on the gauge. The amount of uncoiling movement that occurs is relative to the pressure within the tube. This movement then informs the pointer, giving you a pressure reading. Pressure gauges are critical monitoring tools that assist you with running your processes efficiently and with very little downtime. Pressure gauges are your friend and need to be properly understood to be utilised to their best. 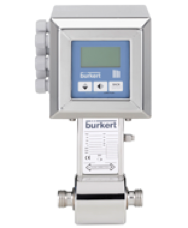 Most processes need to monitor differential pressure in order to report on the health and efficiency of equipment. Due to this, pressure gauges are commonly installed in pairs. The differential pressure can show energy lost through equipment such as pumps, compressors, valves and filters. This is how you monitor efficiency, avoid downtime and loss of money. How are pressure gauges calibrated? The first thing to consider before calibrating your gauge is that there is no specific standardisation method. The method employed usually depends on the process and application the gauge is intended for. 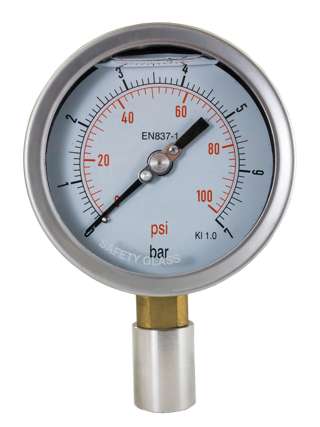 With this in mind, pressure gauges can be calibrated using a dead weight tester, standard pneumatic calibrator or other appropriate calibrators. 1. Check that your calibrating method of choice has been calibrated in accordance with the manufacturer reference. 2. Connect the pressure gauge making sure a block valve is in action to isolate the pressure source from the rest of the system and a bleeding valve for releasing pressure. 3. Set the pointer so it reads zero on the scale. 4. 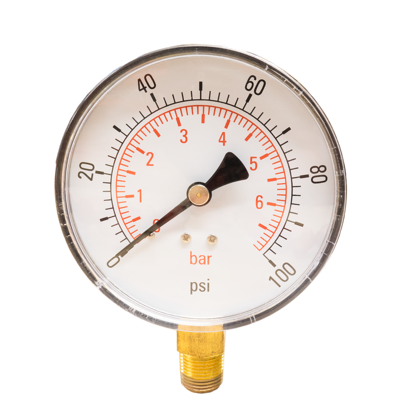 Apply the maximum pressure the gauge can measure and adjust until the gauge indicates the right pressure. 5. Using the bleed valve, isolate the pressure source and completely depressurise the system. 6. Check that the gauge reads zero and adjust if necessary. 7. Repeat steps four to six until all readings are accurate. Once you have completed these steps you can write down all your readings onto a calibration sheet to use a benchmark and to use as data for a calibration certification if needed. BM Engineering can supply various pressure gauges in diameters of 50mm to 300mm, in an array of materials and to suit many industries including food and beverage, chemical, pharmaceutical, dairy, brewery, distilling, pneumatic and HVAC. For more information on how to use a pressure gauge or to purchase a pressure gauge from BM Engineering get in touch today on 0141 762 0657 or via email at sales@bmengineering.co.uk.